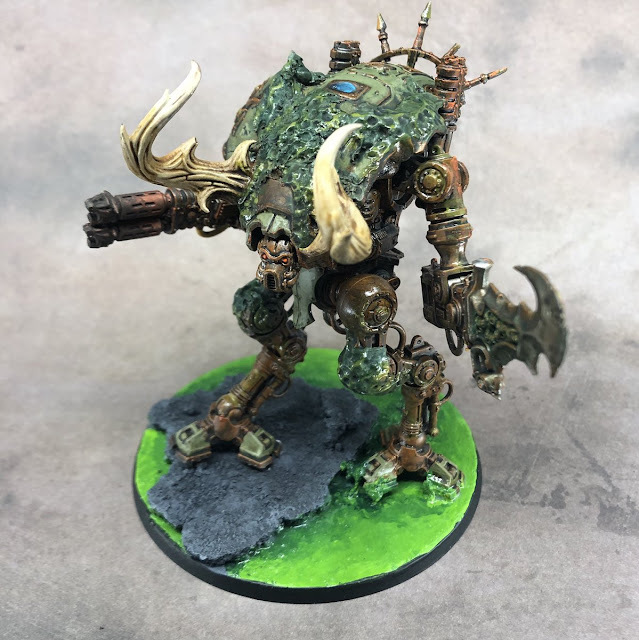 When I completed the Nurgling Knight project recently I had the idea that it might be cool to create an entire army in the same theme. Then the Forgeband box was released with the new Knight Armiger models, and well, I just couldn't resist! 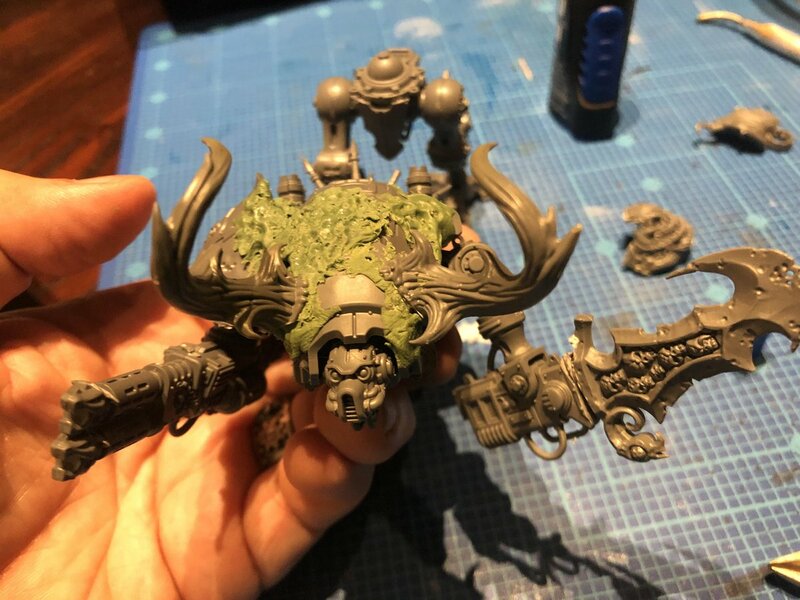 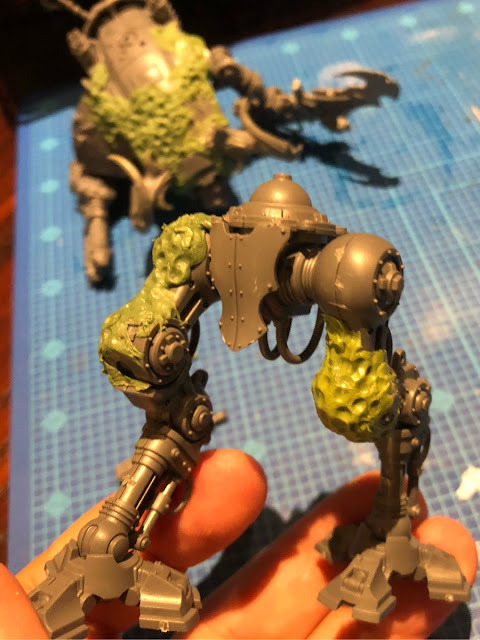 I used a collection of spare parts that I had accumulated from the wave of Death Guard releases last year, and with the help of some green stuff I soon had a converted Armiger ready for painting. 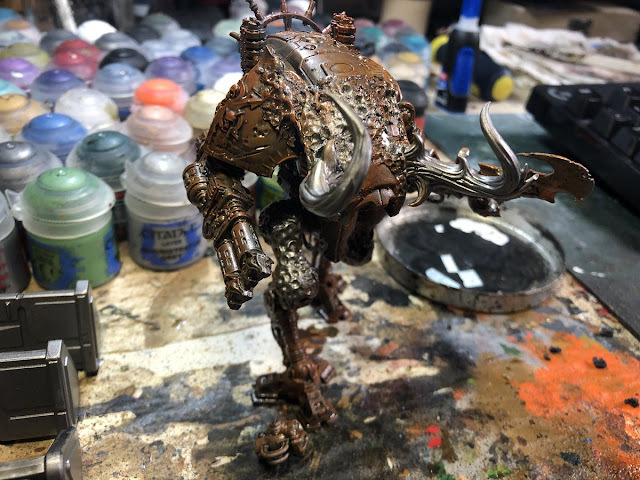 I used the same technique that I used on the Death Guard so started out by rusting everything up. Then I go back and add the color and details. 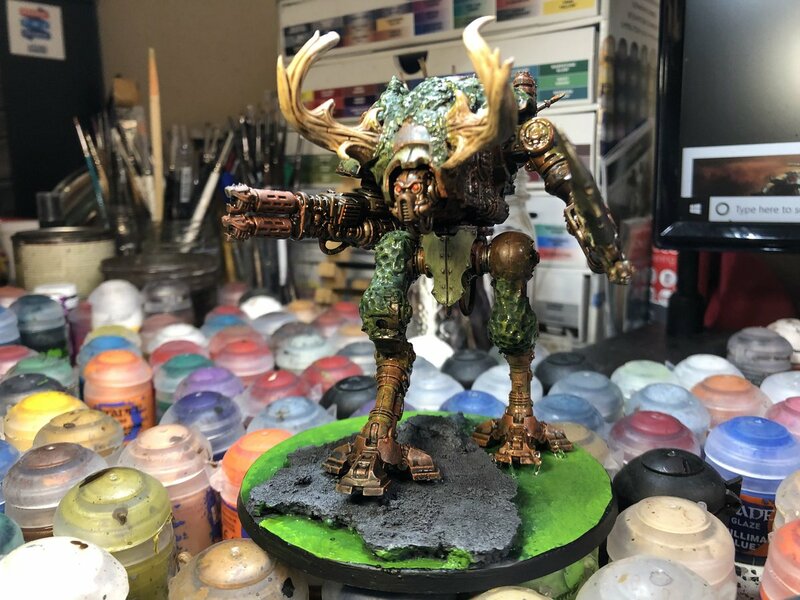 It came out pretty much how I had envisioned it, so happy with this one! 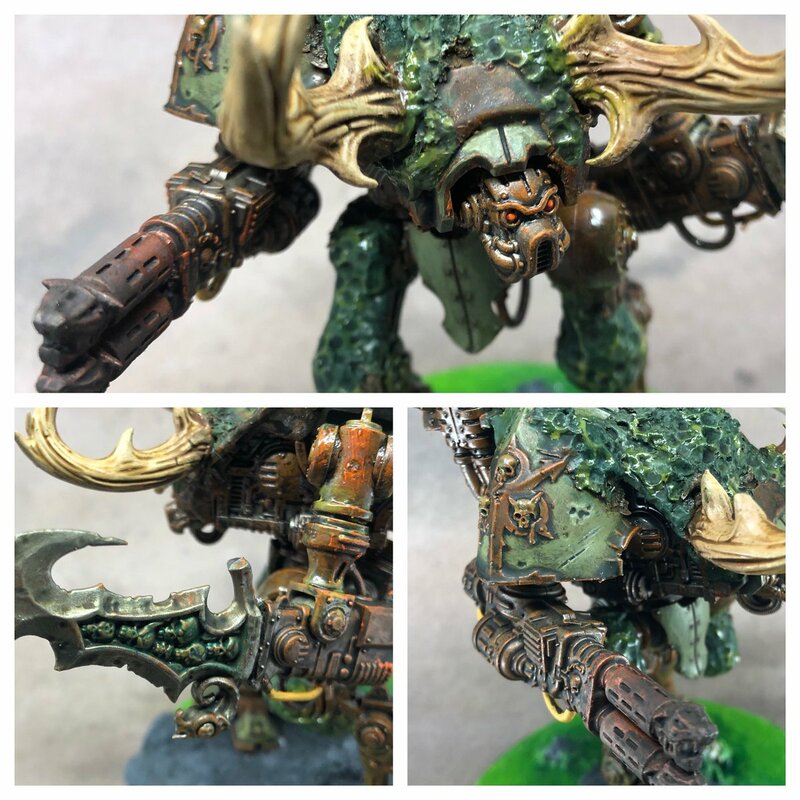 I plan on doing two of these guys, but each with different conversions. 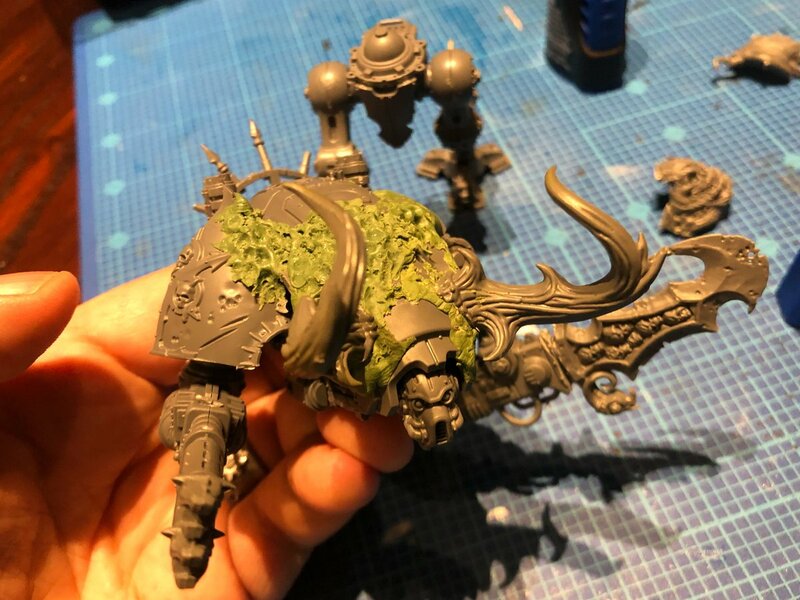 They can then act as the protection for the Nurgling Knight itself. 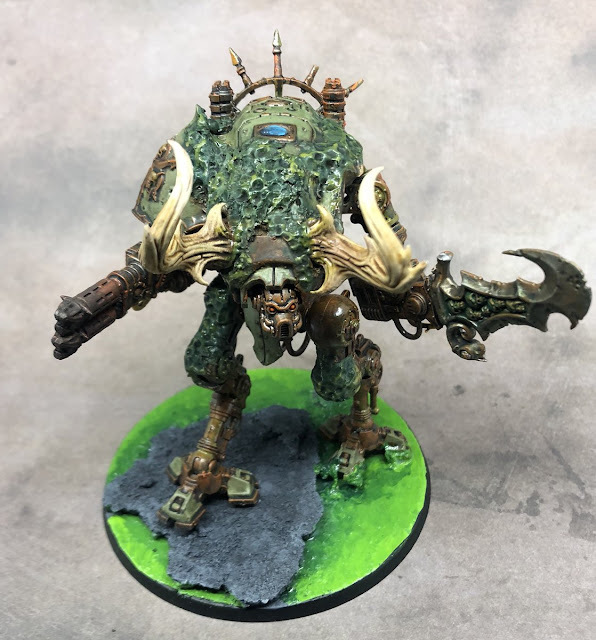 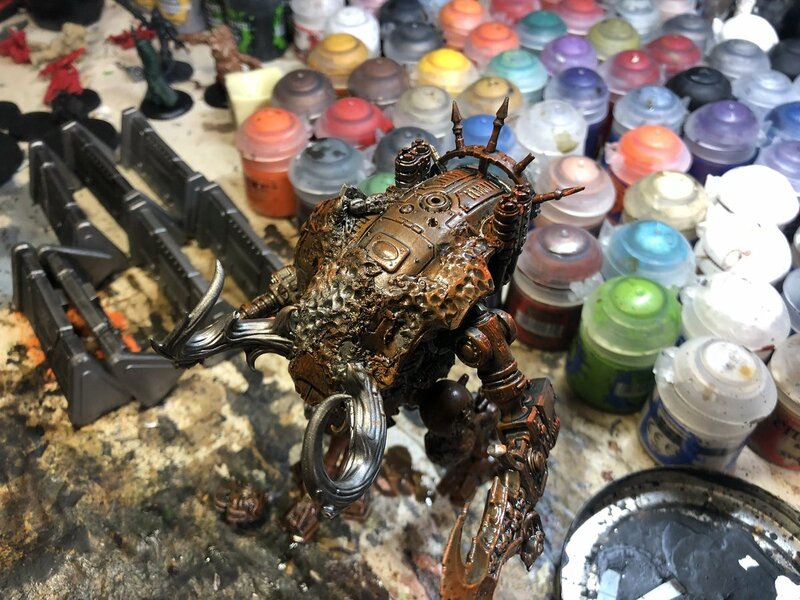 I went with a similar scheme, with the ultimate goal of creating an entire Ad Mech army that has been corrupted by Nurgle. This seems like a good start!